Get ready! The new Broadway musical Ain't Too Proud—The Life and Times of the Temptations officially opens on March 21. The production began previews at the Imperial Theatre on February 28. 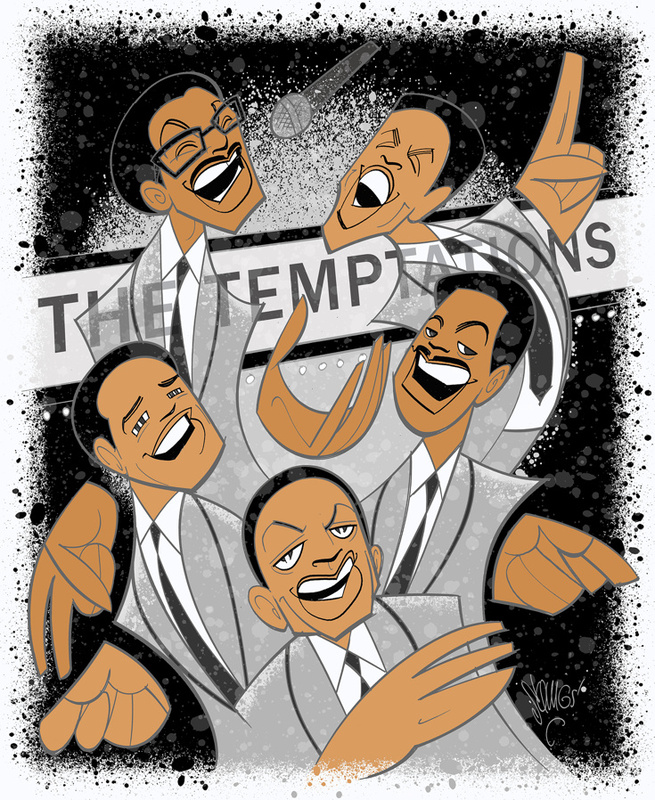 Leading the company as the Temptations is the five stars of the musical's pre-Broadway engagements in Washington, D.C., Los Angeles and Toronto: Derrick Baskin as Otis Williams, James Harkness as Paul Williams, Jawan M. Jackson as Melvin Franklin, Ephraim Sykes as David Ruffin and recent Choir Boy star Jeremy Pope as Eddie Kendricks. The cast also includes Saint Aubyn, Shawn Bowers, E. Clayton Cornelious, Taylor Symone Jackson, Jahi Kearse, Jarvis B. Manning Jr., Joshua Morgan, Rashidra Scott, Nasia Thomas, Christian Thompson, Candice Marie Woods, Esther Antoine, Marcus Paul James, Jelani Remy and Curtis Wiley. Ain't Too Proud features a book by Dominique Morisseau, direction by two-time Tony winner Des McAnuff and choreography by Olivier winner Sergio Trujillo, with music direction/arrangements by Kenny Seymour and vocal supervision by Liz Caplan. The show features a score made up of The Temptations' legendary songs including "My Girl," "Just My Imagination" and "Papa Was a Rolling Stone." In celebration of opening night, Broadway.com Resident Artist Justin "Squigs" Robertson sketched a portrait of the show's five headliners telling the story of an iconic singing group for Broadway audiences.